Ready to go? Sign up for a trip! 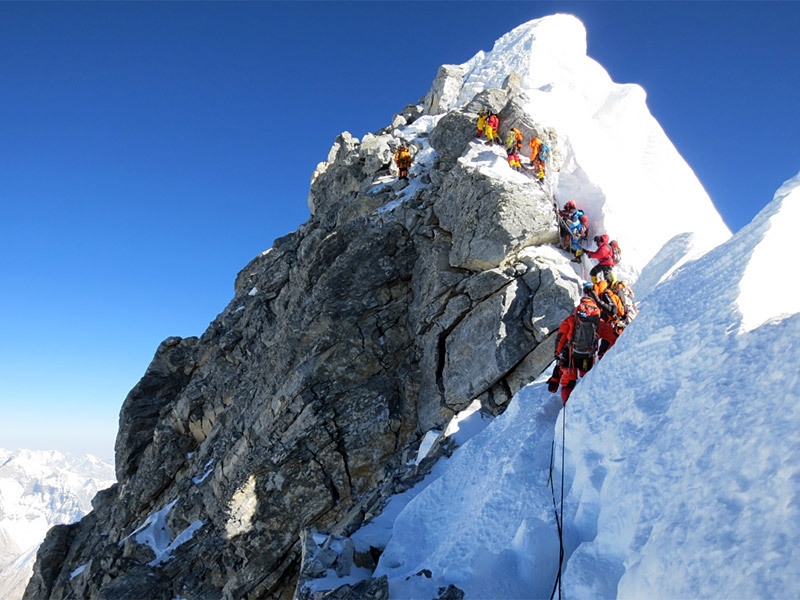 On May 20, 2013 IMG guides Max Bunce and Aaron Mainer completed the alternate rappel route around the Hillary Step on Mount Everest's South East Ridge. The anchors below the rappel (between the bottom of the rappel and the ridge) were installed May 10 by Phurba Tashi and the summit fixing sherpas, who placed 3 Fixe Hardware Stainless Steel &frac38; inch Bolts with IMG's Bosch 36v hammer drill, and also a fixed rope to reach the base of the rappel from the ridge. The anchors at the top of the rappel, and the rappel rope itself, were installed on May 20th by IMG guides Bunce and Mainer, who then rappelled the new route. The next day IMG guides Peter Anderson and Justin Merle also descended the new route. The new rappel route starts above the Hillary Step and connects to the lower traverse. 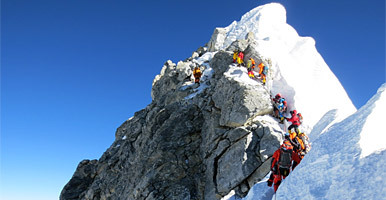 The IMG climbers believe that this alternate descent route is a good option. While the new rappel is steep/overhanging, it is easier than descending the Hillary Step if there are climbers coming up the Hillary Step. 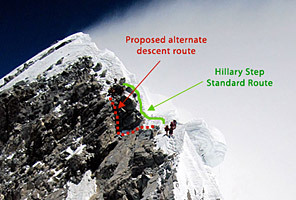 The IMG guides report that the new route can be further improved by adding another directional anchor at the top to keep the new rope entirely clear of the main Hillary Step ropes. 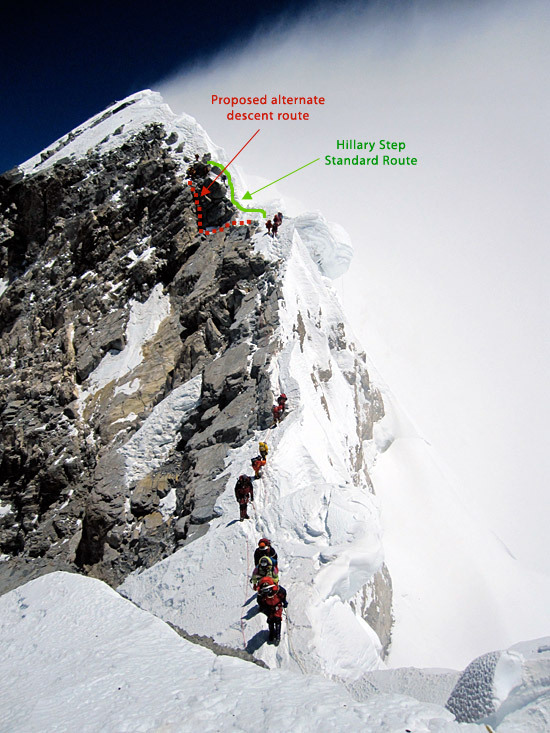 The new descent route was only used by the 4 IMG guides this year, but we believe that in the future this option will become more popular as a way to mitigate issues for ascending and descending climbers trying to pass at the Hillary Step.